This unique accessory is part of the Thomas Sabo Love Bridge collection and is the perfect accessory to bring a look of luxury to your outfit. 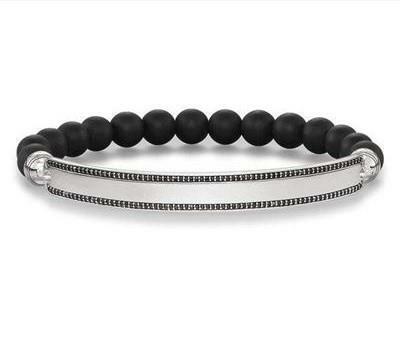 This beautiful bracelet is made with a string of matt black obsidian beads with a 925 Sterling Silver bar. The polished silver is framed with black cubic zirconia stones for a sparkling finish. With an edgy look, this bracelet will stand out in any bracelet stack.